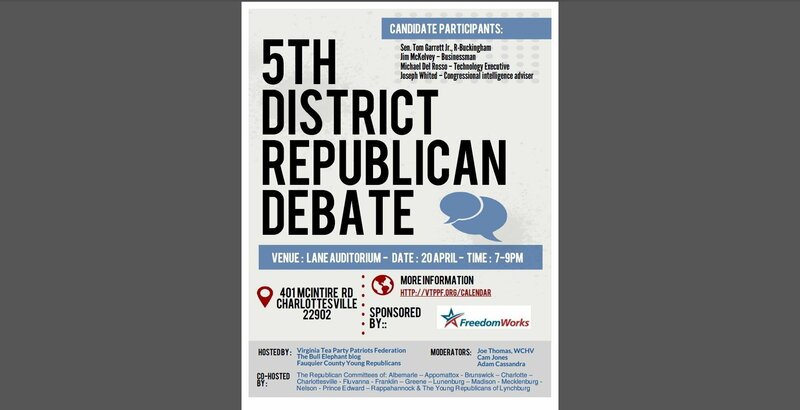 We will join The Fauquier County Young Republicans and the Bull Elephant blog on April 20th at 7PM at the Lane Auditorium in Charlottesville to host a debate between the candidates in the republican 5th District Congressional race. Head on over to the event page for all of the details. Hope to see you there! (RSVP requested on the event page to measure capacity) Please share this far and wide with interested parties.